These are two pages from the WJXT publication of Weather Guide. 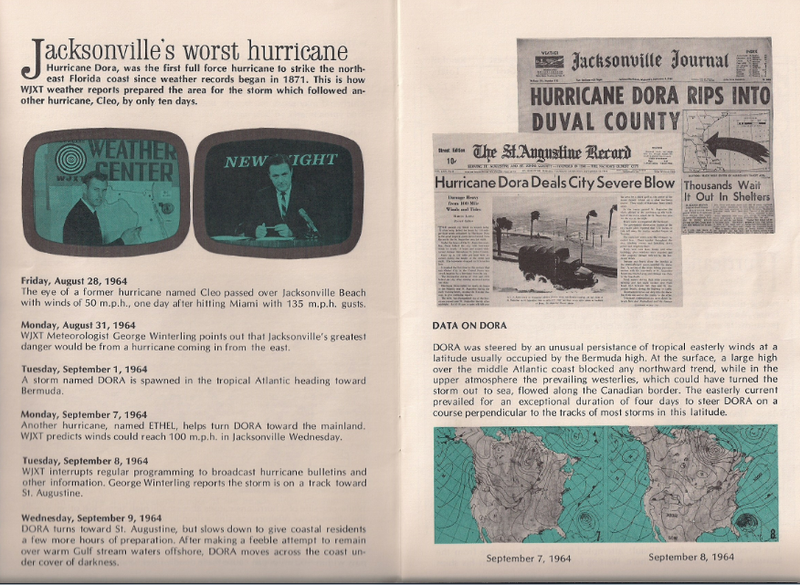 This booklet was included in the Jacksonville Sesquicentennial (150 year) celebration in 1972. The entire booklet can be viewed on the above UF website. It describes the behavior of some of our weather between the years 1800 and 1972. Jacksonville’s geographical location makes it for a rarity a hurricane strike here. This is because most Florida hurricanes that reach this latitude have been reduced to tropical storm strength due to passing over land before reaching this area. Since the National Weather Service (U.S. Army Signal Corps and Weather Bureau) started records in 1871, Dora was the first and only full-force hurricane to strike our city. 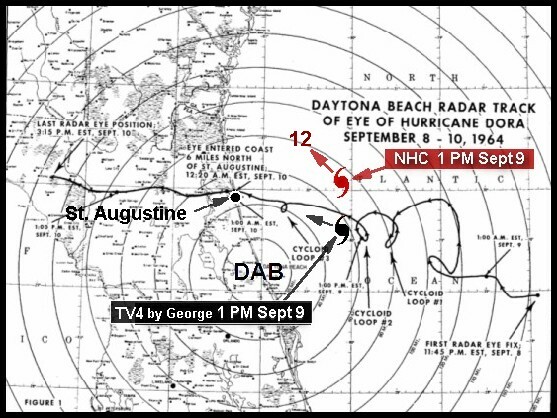 The closest hurricane strike was in 1898 when a category 4 hurricane hit the Georgia coast at Cumberland Island and Brunswick. Since I will be fully retired from WJXT on June 1, 2014, I will no longer track hurricanes and monitor the weather as I had done over the past 53 years. I have a million fond memories of the many people, young and old, that I have met in meetings, gatherings, and in homes thanks to television and Channel 4 over the years. Except for the heat and humidity of some of our summer months, I can’t think of a better place to live! 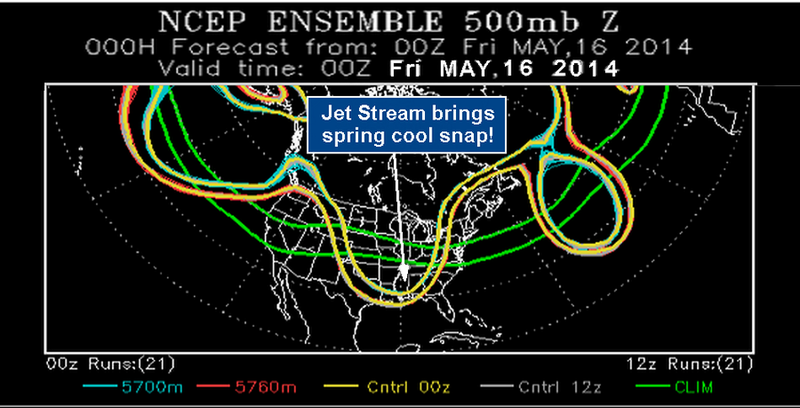 After 4 days with 90 degree temps, a dip in the jet stream dropped our morning temps into the 50’s. But typical of spring, the thermometer will bounce back with several days in the 90’s during the last two weeks of May. During the hottest days, relief may be found at our beaches with afternoon sea breezes. 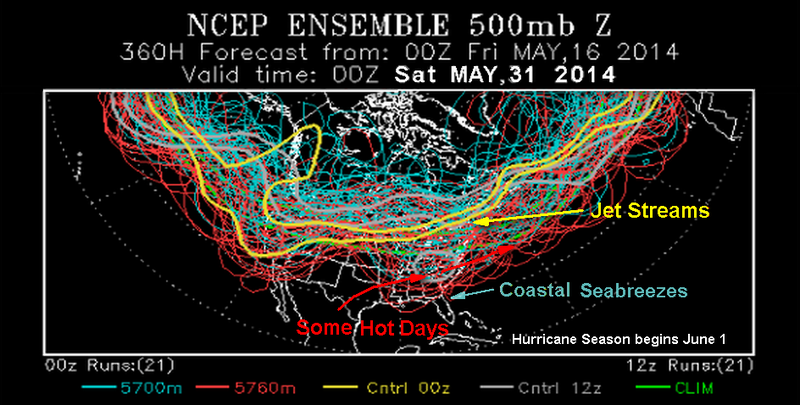 The farther north the Atlantic jet stream, the more likelihood of a tropical system with surface sea temps of 80 degrees. Time will tell if it’s a tropical depression or tropical storm. 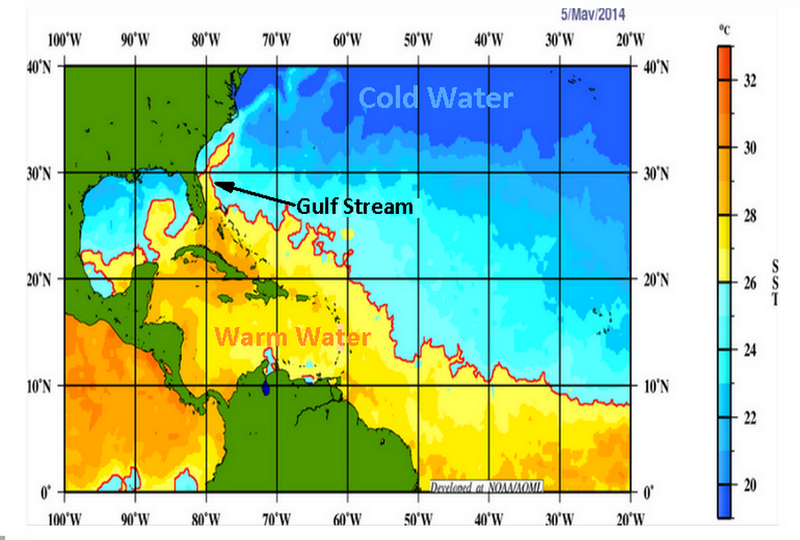 If the eastern Pacific surface sea temps continue 7 to 9 months warmer than 0.5 deg C, it is called “El Nino Conditions”. If it lasts more than 9 months, it is called “El Nino Episode”. While El Nino creates high level shearing winds and can reduce hurricane development in the Atlantic Basin, a few hurricanes may develop. This occurred in 1983 when Hurricane Alicia struck the Houston, TX area, and in 1992 when Cat 5 Hurricane Andrew struck Homestead, Fl. The hurricane season begins on May 15 in the eastern Pacific, earlier than the June 1 date in the Atlantic Basin. 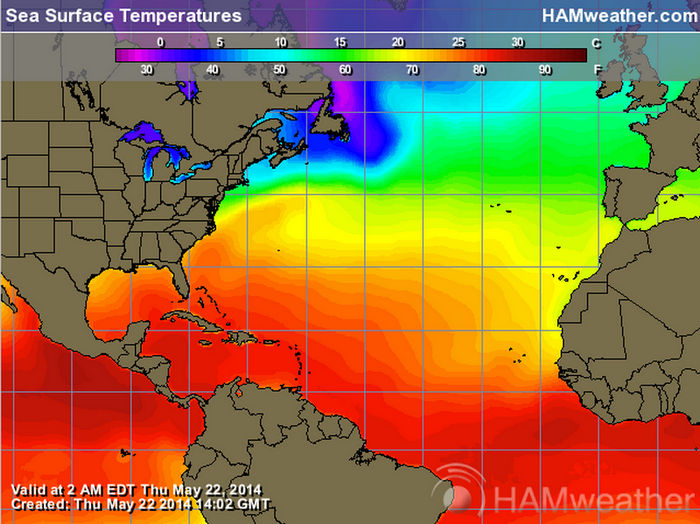 You can see why when you look at the warmer surface sea temps there. 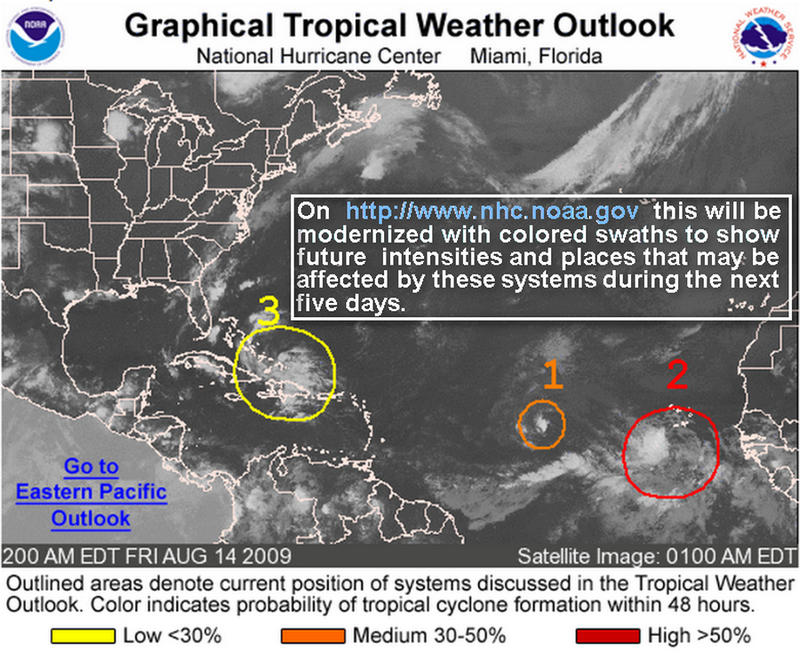 The western Caribbean Sea and waters around Cuba and southeastern Florida are closer to us and may be the location of the first 2014 tropical storm if atmospheric conditions become favorable. 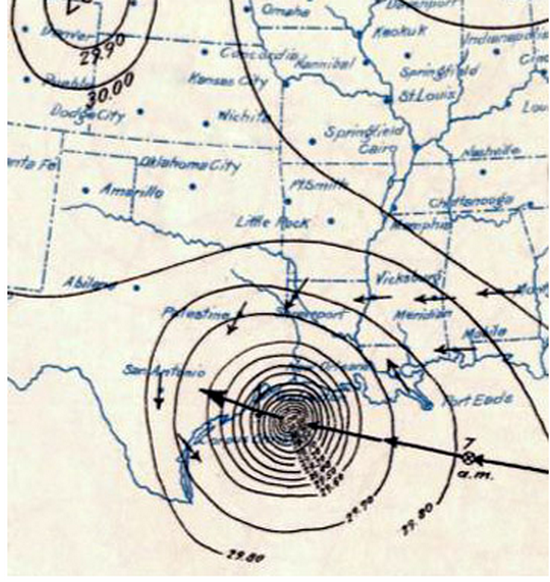 The most deadly hurricane in U.S. history was the Galveston hurricane on September 8, 1900. The actual number of victims could not be determined because it was a popular tourist location and area population numbers were of little help. There may have been between 6,000 and 12,000 fatalities. The official number has been placed at 8,000. 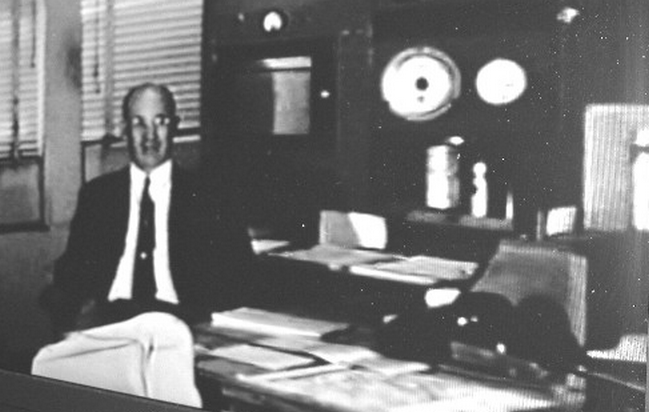 The local Meteorologist-in-Charge, Dr. Isaac M. Cline, rode through the town in a horse and buggy to warn the residents when he realized that this was not a typical hurricane. As the Gulf water inundated the lower floor of buildings, residents watched out their second floor windows as people clung to telephone poles and climbed on roof. Inside one of the buildings an old man’s attention was fixed on the falling barometer. When it finally leveled at 27.64 inched, he proclaimed that they had already experienced the fiercest part of the hurricane. The fact that ocean shores attract so many people to the sandy beaches and the waters provide a livelihood for local fishermen can be an unexpected disaster for those who are not aware of the deadly Storm Surge. 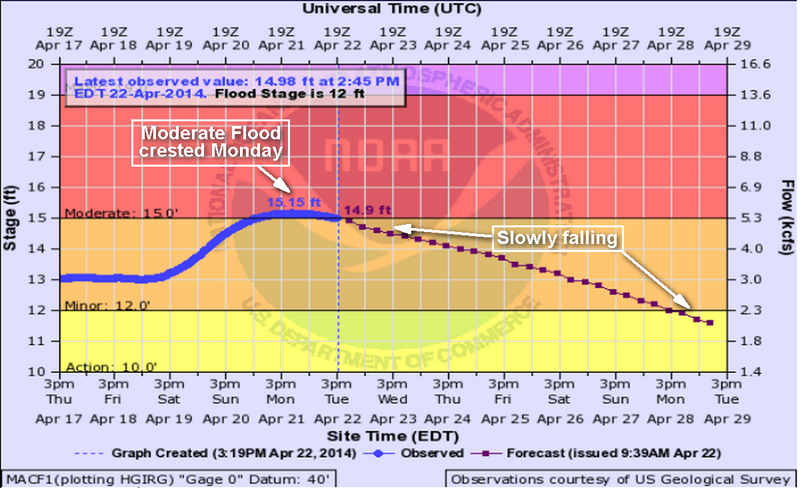 Storms like Sandy in 2012 were a reminder to the mid-Atlantic coast in 2012. In June 1957, 416 residents of Cameron, LA delayed their evacuation from hurricane Audrey. They lost their lives because the storm arrived two hours earlier than predicted. 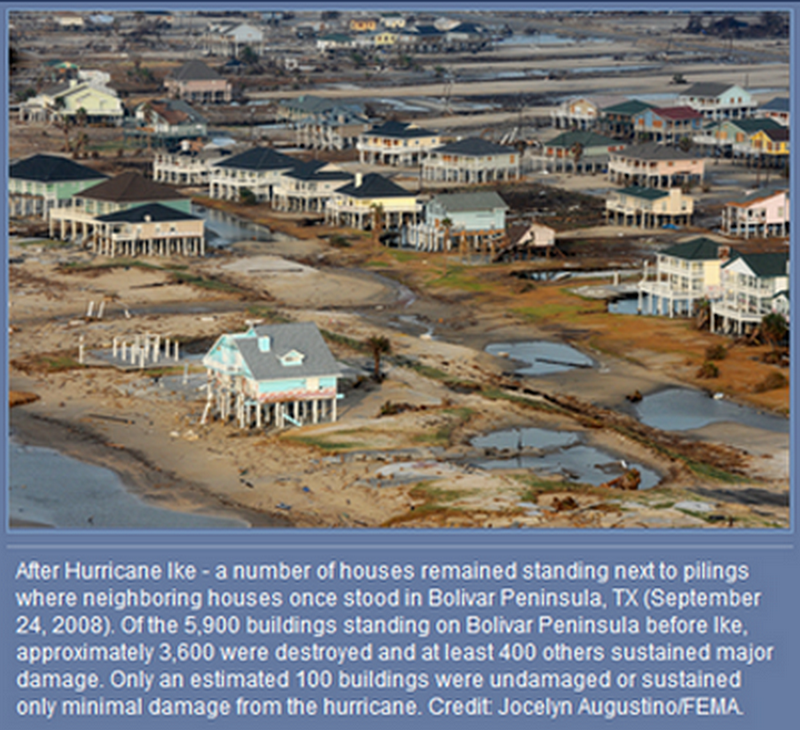 On September 24, 2008 an intense storm surge from hurricane Ike destroyed 61% of the houses on Bolivar peninsula which is near Galveston, TX. Daytime downpours over Florida were not as heavy as expected. Although a few heavy showers may occur here Friday night, our 24-hr total by Saturday morning should be less than 2 inches. 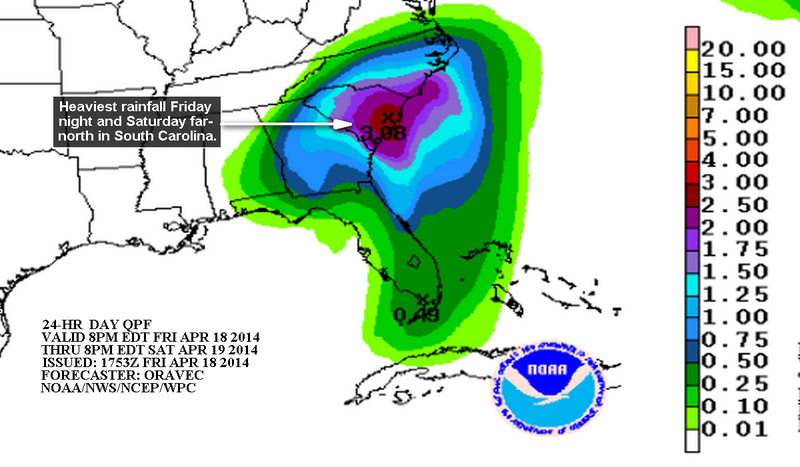 The 24-hr rainfall four-inch forecast has now shifted northward to coastal South Carolina. 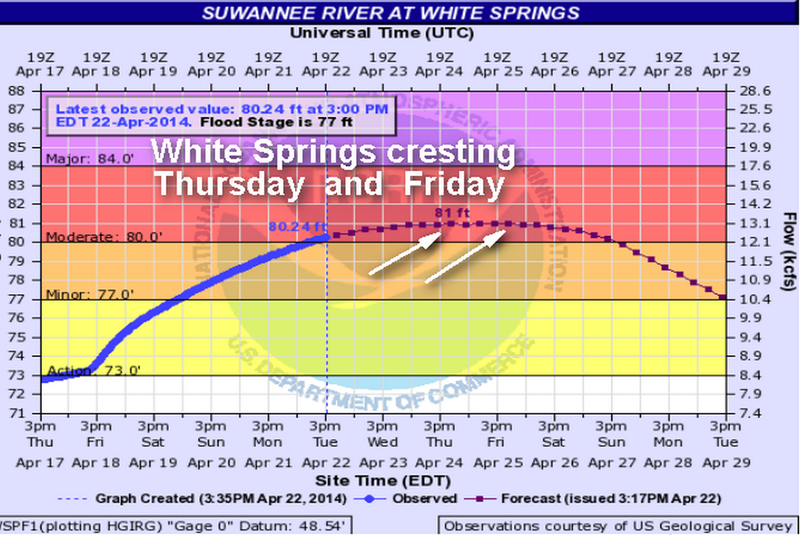 SATURDAY AM UPDATE – Northeast Florida Friday/Friday night rainfall had less than one inch. 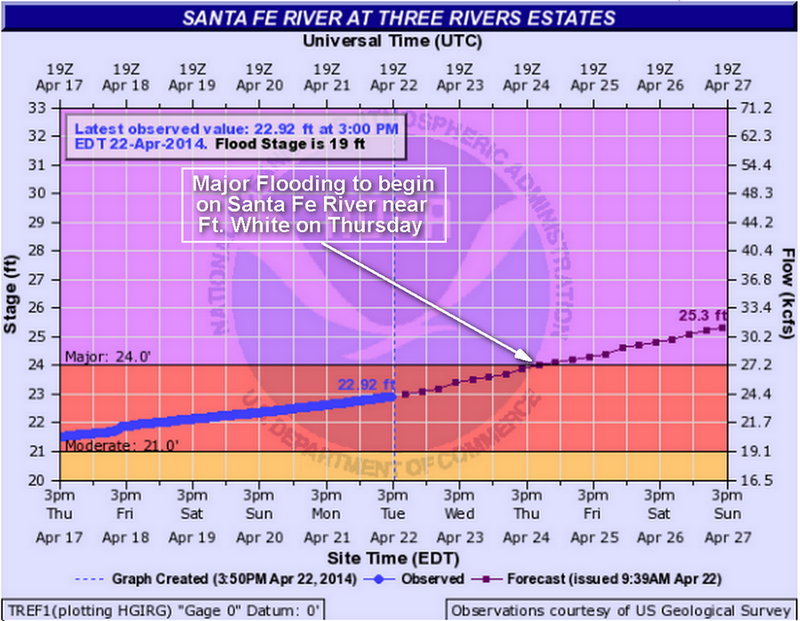 Florida panhandle (Tallahassee westward) had two to three inches. Southeast Georgia had two to three inches (the heaviest was Brunswick with 3.12 inches).